If you suffer from hand cramps or pain while you are writing (also known as Dystonia) I have good news ya! For some people, writing is something that cause pain as soon as they pick up a pen--or within writing a few words, and impedes them to write with normal speed and accuracy. In dystonic writer's cramp, symptoms will be present not only when the person is writing, but also when performing other activities, such as shaving, using eating utensils, applying make-up. Common symptoms include, for example, excessive gripping of a pen or utensil, flexing of the wrist, elevation of the elbow, and occasional extension of a finger or fingers causing the utensil to fall from the hand. The Ultimate Grip Pen, better known as the UGLee Pen, is physician designed to be the World's most comfortable ergonomic pen. This is an ergonomic pen that is actually ergonomic. If you suffer pain, hand cramps, or discomfort when writing of any kind, you need to try this pen. The UGLee Pen represents over eight years of research in the interaction of hand anatomy and human physiology with writing instruments. The overall shape as well as the detailed contours are perfectly engineered to follow the anatomy of the hand. You don't have to grip this material, it grips you. The UGLee Pen only weighs 11 grams. That is less than 1/2 ounce. Less mass means less inertia and more comfort. 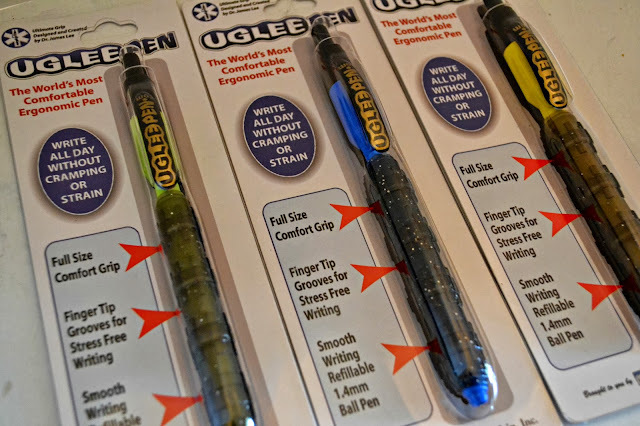 The UGLee Pen is mated with the smoothest ink system known, smoother than any roller ball, gel ink, or fountain ink pen. When writing with this medically-designed ergonomic pen, you will notice a significant reduction or elimination of pain from: hand cramps, tendonitis, arthritis, carpal tunnel syndrome, hyperesthesia, ischemia, paresthesia, neuropraxia, callouses, and tight grip. The UGLee Pen will benefit anyone who needs to write in volume, press through triplicate forms, or take copious notes. Write all day without cramping or pain. It will help writers of any age, not only older writers with medical problems listed above, but also younger writers with underdeveloped muscles. 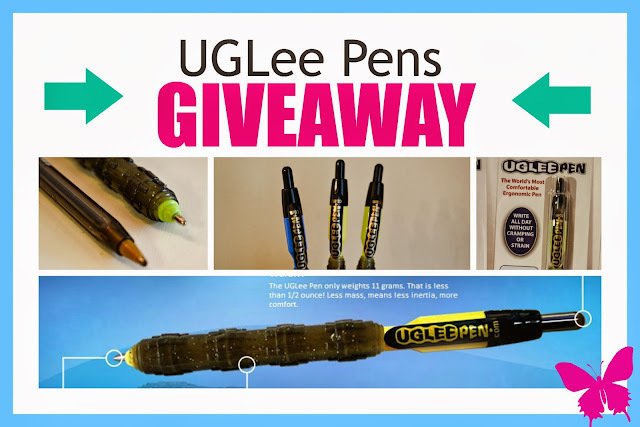 The Bluebird Patch is giving away a set of UGLee pens for one lucky reader. Please make sure you follow our giveaway guidelines. 3. 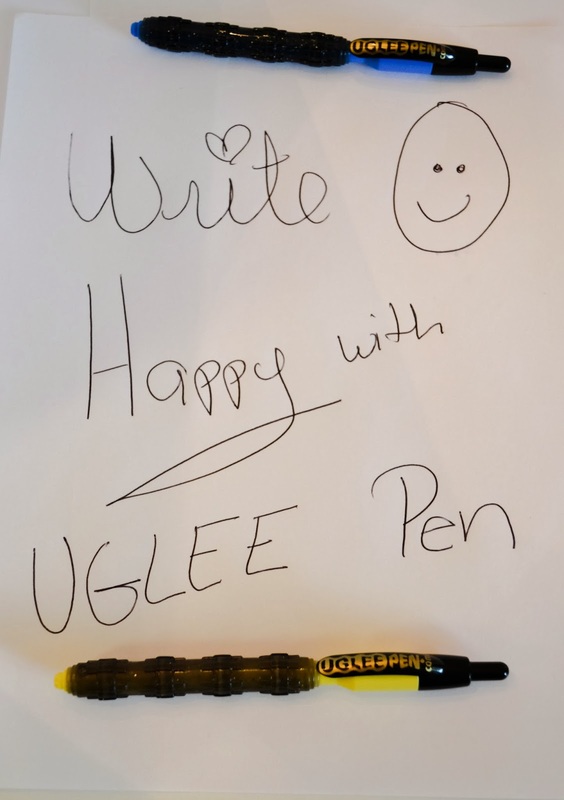 Tell us in the comment section one thing you learned about the UGLee Pen by going to the web site ugleepen.com and register your entry in our giveaway widget.